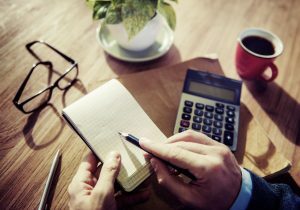 Accountancy suffers from a reputation as being a dull profession. People imagine accountants shuffling figures around a page, organising sums in columns and being up to date with complex tax rules and regulations. These dull tasks are essential but make for a less than exciting occupation. That said, accountancy has changed. Driven by a new generation of accountants and the digital age, accountancy has taken on a more exciting vibe. If you are considering a career in accountancy, you need to know what opportunities it presents. This is the guide that you need to super-charge your career in accountancy, whether you are thinking of being self-employed or bagging your dream job in the field. Being an accountant means working in a fast-paced and dynamic industry. You can work with small businesses and start-ups or large global corporations. There are many opportunities to specialise in tax regulations and other specialist finance and accounting areas. As an accountant, you will have many employment opportunities, from running your own business as a sole trader to creating a burgeoning accountancy firm. You can also work in an employed capacity for larger firms, as well as benefiting from exciting career opportunities in The City (the financial district of London). Many Chief Executives of banks, financial firms and retail groups began their career in the finance and accounting sector. 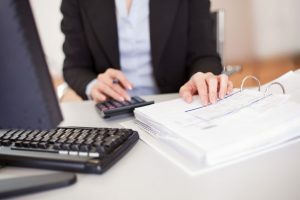 Accountants are known to be meticulous, with an eye for detail, as well as possessing many planning and forecasting skills that make controlling finance easier. Accountants will never be short of clients who need help with their accounting procedures. Alongside businesses, private individuals will often consult with an accountant in relation to self-assessment tax returns or more complex issues. The ways in which HM Revenue & Customs collect information relating to tax are changing. The new digitalised system means that from June 2018, businesses will be able to submit their accounts online every quarter. As a result, businesses may need to make changes to how they maintain their accounts. The accountant will be at the forefront of helping businesses leave behind ‘shoe box accounting,’ and become a part of the new streamlined, digital accounting era. As an accountant, there are many well paid opportunities for you to explore, from overseeing your own business to becoming a well-paid financial executive of a large company. These well-paid opportunities are not limited to the UK. You can work in markets and businesses around the world. Accountancy skills are some of the most versatile skills that you can possess. As a profession, not all accountants need a degree. With various specialist courses to choose from, you can build your knowledge base whilst progressing in your career. This is just one of many reasons that it is a popular profession. There are many opportunities to progress in the field of accountancy, and this is why this guide is important. With so many opportunities, you can quickly super-charge your career and reach the heights you always dreamed of. As with many professions, you need to seek out and actively create opportunities in order to give your career in accountancy a boost. This means knowing what steps to take and when. Although you don’t always need a degree, as an accountant you are expected to be able to show potential clients and employers that you have a broad base of accountancy-related qualifications under your belt. This means getting the qualifications that professional bodies and employers recognise, so bear this in mind when checking out online accounting courses. However, along with qualifications that show your skills and abilities to deal with financial information, you also need a range of soft skills that make you the ideal candidate for the job. As we grow ‘older’, we lose the art of asking the ‘right’ questions. Small children engage in the world around them often by asking ‘why?’ type questions. But as we age, we often assume that asking questions is a sign of ignorance or weakness and that our superiors will see us as ineffectual and weak. However, Socrates tell us that the only true wisdom is knowing when we know nothing. This doesn’t mean being over-effusive and asking questions just for the sake of it. Demonstrate your skills by framing questions in a way that shows you have done some preliminary research; you have an idea, but you need some information clarified. When you start a new job, you can create a good impression by being 10 minutes early, well-dressed and friendly. The longer you remain in a post however, the deeper you fall into your comfort zone and that can mean that you stop correcting your bad habits. If you are employed and want to progress with the company in the accountancy capacity, you need to show that you do take your role seriously. That means not only committing to a company and sticking with it, but also remaining positive and working within the values and ethos of the business. If you are applying to a new role, you need to be aware of the company culture and how your behaviour and attitude fit with this. An accountant will deal with many people on any given day. From stakeholders to senior partners and executives, you will be expected to give financial information clearly and concisely. There are many other pieces of information and data you will need to communicate, as well as receiving information yourself. Some business experts believe that effective communication is a key business acumen for any candidate looking to super-charge their career in any profession, not just accountancy. The finance department of most major corporations and organisations can sometimes operate in a vacuum. Decisions are almost clinical, based on key facts and financial figures. This can mean the emotion of a decision and its impact are removed. This is no more is this clearly illustrated than in the NHS (or another health care setting). The decision to cancel operations that can save thousands, but the implications for patients and staff is far bigger than the costs saved. As an accountant, even though the figures tell a story, it is only part of the story. The key to super-charging your career and forging ahead is clear communication, listening and relaying information. Accounting in the health sector and accounting in the retail sector are different. One is fast-paced and dynamic and deals with people’s lives, and the other, whilst also dynamic and fast paced, is all about profit. As an accountant, you need to know the business world in which you operate, understanding and working within the confines of your industry. 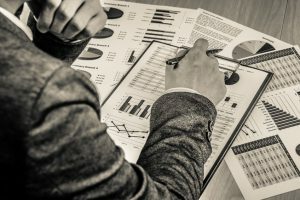 You need to understand how the market operates and what is considered valuable, as well as being able to forecast the market and its performance. Understanding the world in which the business operates makes you a valuable asset to the company. Keep your finger on the business pulse, with one eye on the future and predict changes. Every business wants a dynamic accountant with excellent communication skills, an in-depth knowledge, and a measured approach to accounting and financial control. Take a look at many of today’s CEOs and you will see that they started out in the world of finance. You could super-charge your career to heights you never thought imaginable, but only if you equip yourself with the right skills and knowledge. This means preparing for leadership both in a soft skill sense, but also gaining leadership skills through courses and practice. The face of accounting is changing. 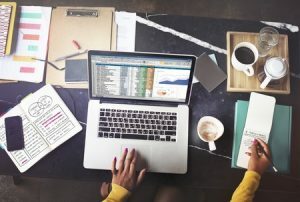 With the digital era dawning at HM Revenue & Customs, more companies are turning to online cloud accounting and software to streamline their business finances. As an accountant or as part of the finance team, you are expected to explore and suggest which of these programs is right for the company. There are many options to choose from, from QuickBooks for small to medium sized firms, to advanced Excel skills. Get qualified, stay relevant, know the business and the markets, stay positive, communicate well and engage. These are seven great ideas that, when combined and put into practice, really can be the catalysts that will make your accounting career soar.